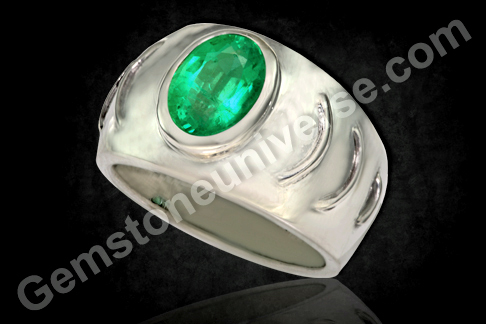 Comments What makes the Emeralds from Zambia very special is their color which is a fine vivid deep green. It literally sets them apart but it comes with a rider and that is lack of clarity. It is just 5-7% of Zambian emerald that has the double advantage of lovely color and fantastic clarity and if both are present it makes the emerald very very special because it is the combination of color and clarity that brings in the lustre that special draw to the gem that makes it beautiful, attractive and most importantly powerful. One look at this Emerald ring and nothing more is to be said. 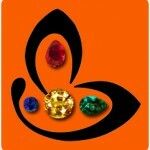 A fine specimen of what a Jyotish Gem should be!